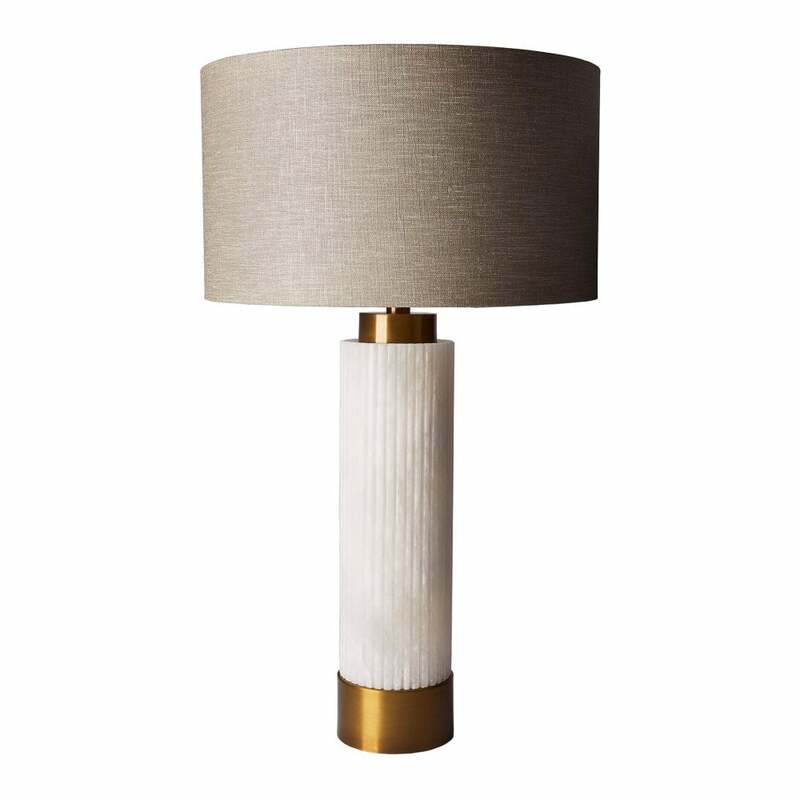 The Roca table lamp is part of the alabaster range from Heathfield and Co. Throughout many of the designs a noticeable comparison can be drawn between Egyptian and Greek architecture. Tall, bold forms with a statuesque base create the body of the main structure. As the name suggests, the base is handcrafted from beautiful, translucent Alabaster stone. The natural patterns within the stone create a delicate palette of cascading ivory tones finished with a subtle, natural sheen. The combination of the ethereal tones of the stone, set alongside the gold-plated detailing highlights the Alabaster stone’s natural, organic beauty.